Spring has sprung in San Francisco and it’s time for Oktane, Okta’s annual user conference. The conference boasts a strong lineup of speakers, trainings, and events on all things identity, security, and digital transformation. Oktane draws thousands of IT leaders, developers, and product experts, and we are thrilled to participate this week! The Art of Workforce Productivity in the Extended Enterprise - We have an awesome session with three of our customers and an Okta expert teed up for Wednesday, 4/3 at 1:00pm. Michele Buschman, VP Information Services for American Pacific Mortgage; Alex Perlovich, Director of Infrastructure and Networking for PaySafe; Mason Spencer, Application Engineer for CareerBuilder; and Brent Arrington, Services Architect for Okta will join Mitch O’Brien, Senior Product Manager for Fuze for a discussion about the extended enterprise. For many organizations today, the new norm is an extended enterprise made up of local and remote employees, contractors, and partners, accessing on-prem and cloud resources, across an array of devices. This new and still-evolving work environment presents challenges. But despite the complexity, it is possible to embrace flexibility, drive collaboration, enable productivity, and maintain enterprise security–all at the same time. Join this session to hear from a panel of industry experts as they explore the risks and challenges of hybrid teams and the role that technology plays in it, how to implement the right communications tools and strategies to address emerging needs, how to ensure security across distributed teams, and how to increase productivity in today’s workforce. Join us on Wednesday! Find the Fuzer - Back by popular demand! All throughout Oktane, the fuzer will be roaming the showfloor. Think ‘Where’s Waldo”, but purple! 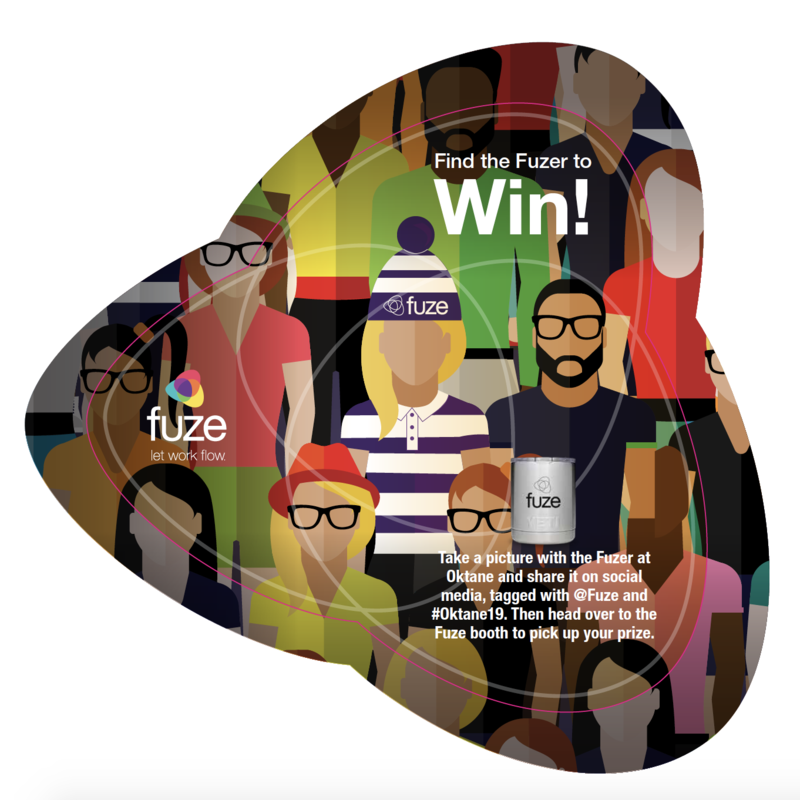 Find the fuzer, snap a picture with her, and post it to social media to win a prize, a YETI tumbler! Visit our booth, P1 - We’re front and center on the showfloor at booth P1 and will be giving out some great swag. Stop by and say hello!